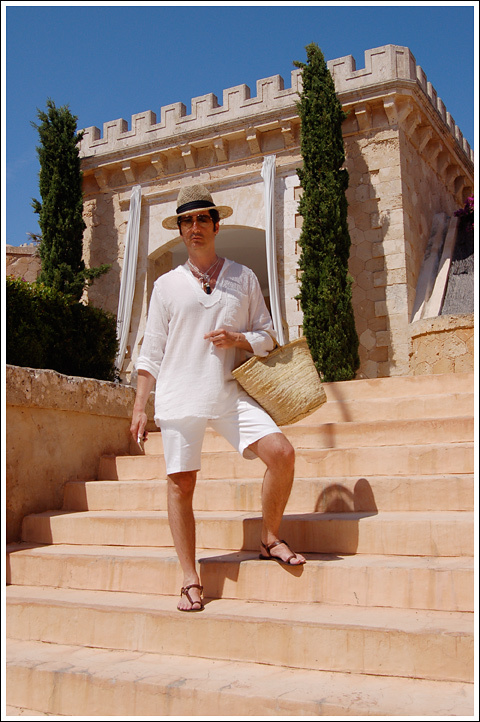 Spain – WHAT IS JAMES WEARING? Certainly a lot can be found in a name. 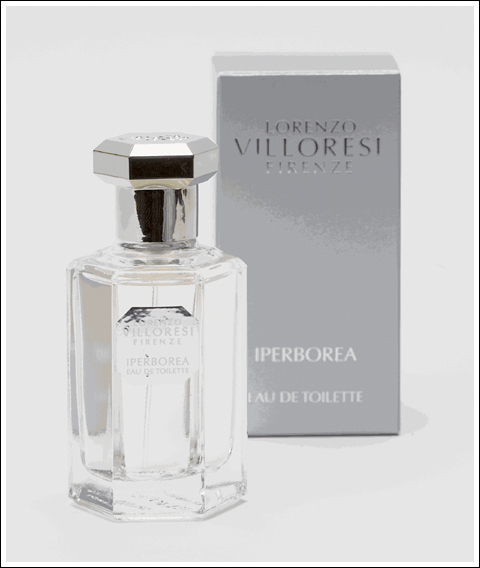 Take for instance the world renowned Florentine Perfumer, Lorenzo Villoresi’s creation, Iperborea. Mentioned by Herodotus who cited even earlier sources, including Homer, the Hyperboreans were a people said to inhabit a utopic land beyond Boreas, the North Wind—a land thusly referred to as Hyperborea (or Iperborea). With a dreamy blend of exotic aromatic woods, fruits, and a bouquet of flowers like lily-of-the-valley and magnolia among others, it’s only natural that Villoresi would reserve this bit of liquid perfection, Iperborea, for his Fantasy Fragrance collection—a scent that conveys all the mystery and wonder one might associate with its mythic namesake. 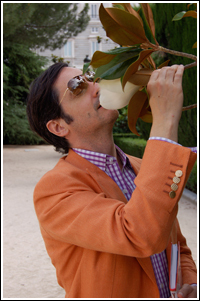 You may recall my encounter with some massive magnolia blossoms during a visit to the “Jardines de Sabatini” in Madrid? (I’ve buried my face in one of them at left)—well the remembrance of that intoxicating scent has been haunting me ever since. And so, as you might imagine, I was absolutely thrilled to come across Iperborea, with its delicious touches of magnolia—and what is more, I recently had the pleasure of meeting the Master Perfumer, Villoresi himself, at a super chic dinner held in his honor. A brilliant, prolific, fascinating man, it wasn’t terribly surprising to learn that Villoresi has an academic background in Ancient philosophy, and is quite well versed in psychology—knowledge he has most adeptly conscripted to the service of his craft! Do make a splash of Iperborea a part of your most perfect world. I have! 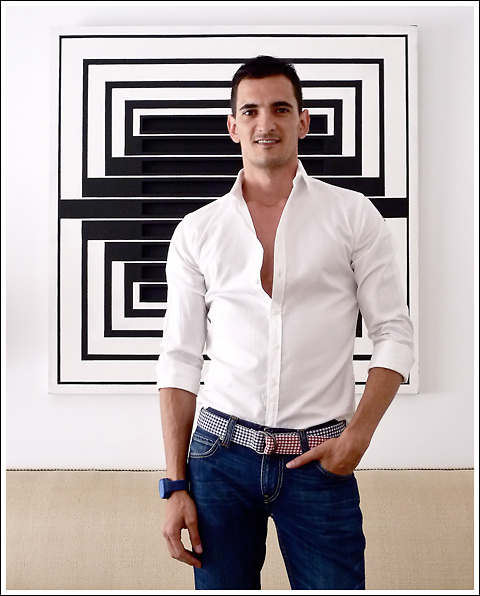 James Andrew in a room by Lorenzo Castillo. After a glorious time in the Balearic Islands we returned to Madrid to enjoy a bit more of this marvelous city. 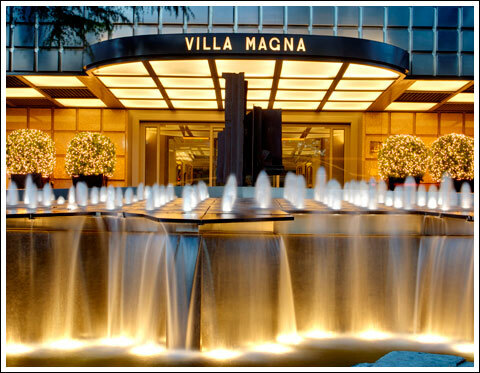 We were so taken by our spectacular suite at the Villa Magna Hotel the last we were here in Madrid that we checked right back in again! Then it was off to spend some more time with the brilliant and wonderful Lorenzo Castillo, one of Spain’s most esteemed interior designers. It was truly an honor to meet him and tour his stunning home—certainly has me thinking about my own townhouse dreams. We enjoyed pre-lunch cocktails while admiring his palacio and then went for a lovely lunch at Restaurante Esteban where we feasted on delicious traditional Spanish cuisine paired with a remarkable Rioja. 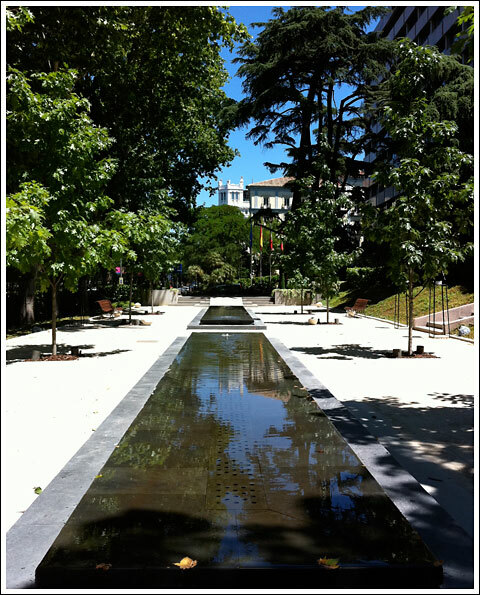 A stroll through the Parque del Retiro is an absolute must—once the private playground of the royal family, it is now the perfect place unwind in lush surrounds. A brief disco nap energized us for a highly anticipated WIJW send-off dinner party hosted by my gorgeous friend Juan Moline and his partners, Jaime Mesalles and Luis Gamo. 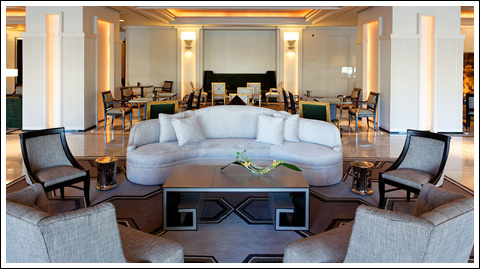 They brought together a super-chic circle of friends, artists, antiques dealers, journalists, and publicists (classic salon style) at their uber-fabulous flat. It was an evening of fantastic food, drink, and lively conversation amongst an interesting and interested group of talented people—the perfect conclusion to a flawless Spanish getaway. 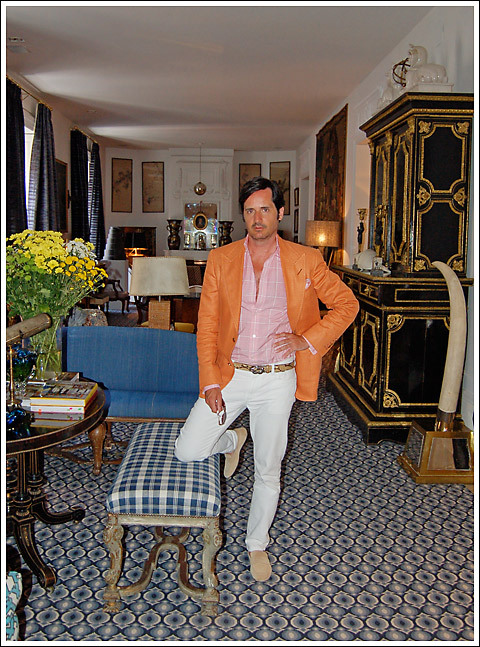 I’m photographed (top) in Lorenzo Castillo’s gracious drawing room, and I’m sporting a tangerine silk basket weave jacket, pink cotton glen plaid shirt and beige suede loafers all by Tom Ford, pink and white silk retro print pocket square by Charvet, python belt and sunglasses by Gucci, Seaman Schepps cuff links in white shell and coral, my fragrance is Creed Orange Spice. James Andrew at Hotel Cap Rocat. A delectable basketed breakfast is brought to you each morning to enjoy on your suite’s private terraces at the Cap Rocat Hotel. 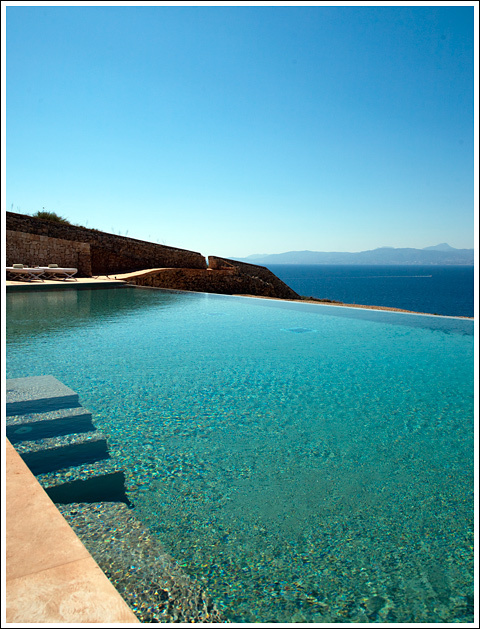 Then it’s off for an invigorating stroll around the property and on to either the stunning salt water infinity pool with views of the bay or to the cove for a swim in the Mediterranean. 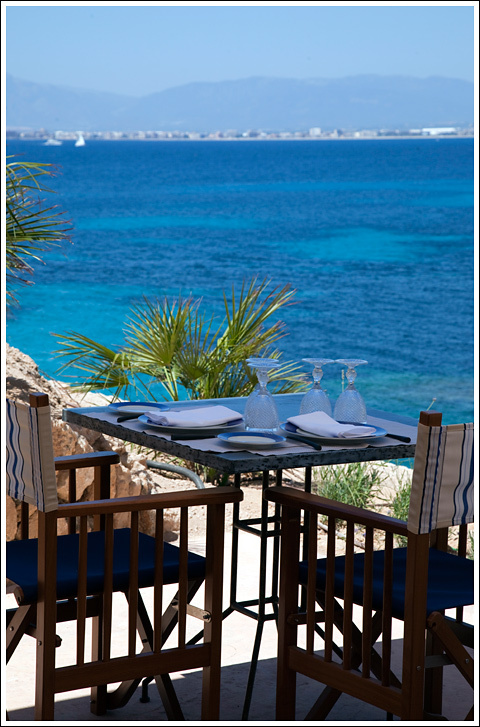 We opted to spend our days luxuriating poolside, taking breaks for delicious Spanish cuisine at the hotel’s restaurant, The Sea Club, which is situated by the ocean with a view to the spectacular Palma de Mallorca beyond. Perfecto! 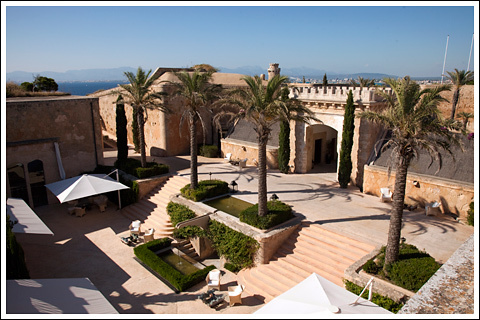 For those looking for more stimulation, Cap Rocat offers an array of sporting activities, including tennis, yoga, hiking, cycling and water sports. On my way to the pool (top) I’m sporting a super chic straw hat and basket (which is provided by Cap Rocat with each suite), Sunglasses and brown leather strappy sandals by Gucci, white cotton slim shorts by Mario Matteo, necklaces from Las Dalias Hippie Market, my tunic style shirt in white cotton gauze made in Ibiza by Melania Piris from the Fanny Fox boutique. My fragrance is Creed Orange Spice.